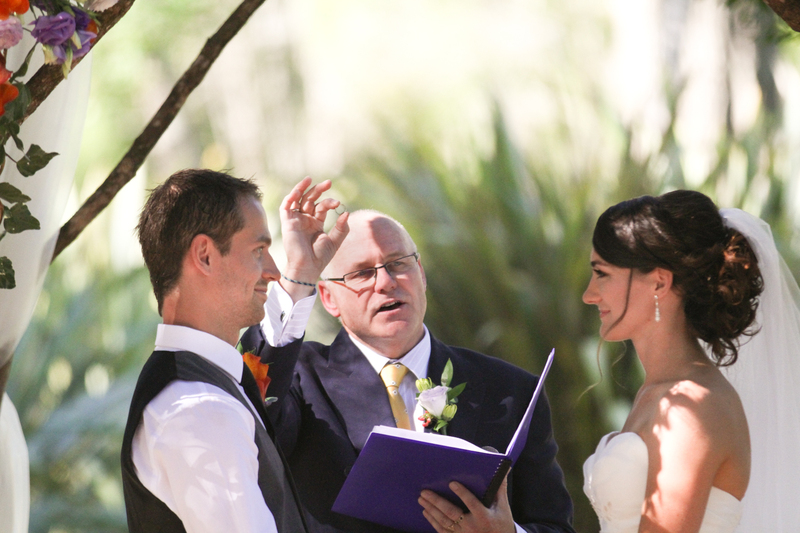 “We were all very relaxed having you in charge of the service. You seem to have a calming influence and an ability to create the perfect atmosphere for such an occasion.” – mother of the bride. “Thank you for making our wedding ceremony a perfect one. The whole wedding day was wonderful but the ceremony made it truly special.” – the newly weds. "Bruce, thanks so much for such a wonderful wedding ceremony. Your choice of words + skill at gleaning information from fleeting comments in conversation is amazing. We had an incredible day and thanks again for making it one to remember. " -the happy couple. “You made the service very lovely, relaxed and personal as well as extremely dignified.” – mother of the bride. “I cannot thank you enough for the great “job” you did for us both. You will always be held in a special part of our hearts.” – groom. “Please accept a personal thank you from us all for the sensitivity and understanding you extended” – aunty of the bride. "Thank you so much for everything you did to make our wedding such a special occasion.We really appreciated your calm approach and we both really enjoyed the ceremony you helped us create." - bride and groom.